The Indiana Attorney General is the chief legal officer of the State of Indiana in the United States. Attorneys General are chosen by a statewide general election to serve for a four-year term. 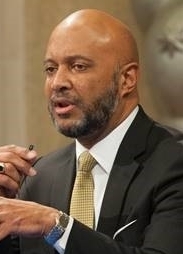 The forty-third and current[update] Attorney General is Curtis Hill. The annual salary of the Attorney General of Indiana is $97,201.78. Under the 1816 Constitution of Indiana the office of Attorney General was filled by appointment. After the adoption of the 1851 constitution, the office was filled by popular election. ^ "Information Maintained by the Office of Code Revision Indiana Legislative Services Agency". State of Indiana. 2008-11-22. Retrieved 2008-11-23. ^ See http://www.in.gov/library/3239.htm, a list of historic Attorneys General compiled by staff of the Indiana State Library. This page was last edited on 23 March 2019, at 20:06 (UTC).